A great place to learn about the history of Brooklyn, the Old Stone House is a reconstruction of a house that proved to be vital during the Revolutionary War-era Battle of Brooklyn. Today, the building serves as a museum dedicated to the house, the war, and the Brooklyn Superbas, the baseball team that would become the Dodgers, who once used the building as a clubhouse. It is located in Washington Park at 336 Third Street between Fourth and Fifth Avenues in Park Slope. The Battle of Brooklyn exhibit, restrooms, and recreation space are all wheelchair accessible. Be sure to check their calendar for any events they host that might enhance your trip. 718-768-3195. I would like to express my gratitude for your great service. The attendant you sent to me, Olga, is a caring, loving, dedicated and devoted person. I was visiting Parker this week and had an opportunity to meet Mireille and observe her in action. I was very, very happy to see the care she takes of my uncle. I would like to take this opportunity to thank you and your staff for your unstinting help in taking care of my father. I can’t overstate what a difference it has made in his life. I writing you to let you know my satisfaction with the service that my mother Matilda S. and I have received from your Patient Advocate Tanya. We were without an aide on Sunday, October 12, no one was scheduled, or aide said no one told her, the coordinator said she did. We would like to thank Edison Home Health Care’s amazing staff for taking such wonderful care of our grandmother. Two years ago, she suffered a stroke, rendering her immobile. I am a social worker at Columbia Presbyterian Medical Center in NYC.  I first learned of Edison Home Health Care through a patient, who specifically requested that I arrange for a home attendant through Edison, given its strong reputation. I am writing this letter to let you know how I feel about my home attendant, Ms. Grant, who is with me seven days a week. Let me emphasize some of her qualities and explain what makes her an amazing home health aide (“HHA”). My mother suffered a traumatic brain injury ten years ago, which sadly caused her severe physical, mental and emotional disabilities. While she requires constant care, she is not an easy person to live with – she can explode out of nowhere, lashing out at those around her, and often shouts and cries incoherently. It is my immense pleasure to inform you that my family is very pleased with Guerli Jean as a caregiver for my mom Gertrude Mercado. My mom was diagnosed with Alzheimers/Dementia three years ago and it has been difficult on the family.